While kids don’t share the same kinds of responsibilities that we have as adults, they do have their own share of daily demands to manage. If frustrations pile up, kids can get stressed. 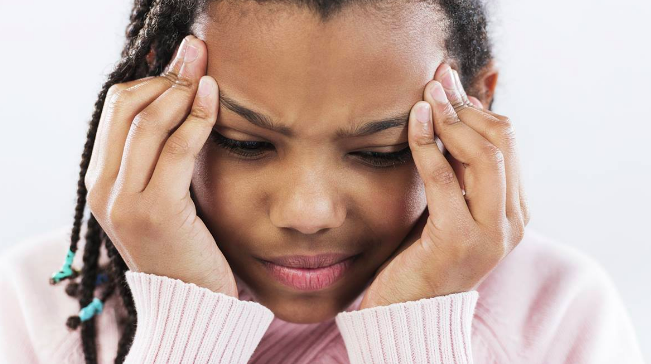 Below please find 5 ways to help your child manage worries and anxieties that may be impacting them. Being interested in your child’s concerns shows her that you are interested in her and that you can support her. If your child is concerned about something, ask him about it. Rather than saying “you’re fine” if he is scared, explore with him what he is scared of and have a talk with him about his fears. Once you have validated your child’s feelings, help your child find solutions. While it is not encouraged that you do the problem solving for you child, it is rather encouraged that you help your child to identify possible solutions. When helping your child to problem solve it may also be helpful to help your child to explore other possible perspectives or alternative ways of seeing his worries. We are our child’s most important teachers. Set a good example for your child about dealing with setbacks. For example, rather than verbalizing your frustrations over the phone to a friend or colleague, let your kids hear that you are openly managing your frustrations. While its okay to let your frustrations out, allow your kids to also see that you can handle issues with confidence and optimism. You can also model how you calm yourself in stressful situations. “ I am going to take three deep breaths and I will feel calm” or “ I’m going to turn on some peaceful music”. Don’t avoid your child’s fears Helping your child to avoid her fears may help her in the short term but not in the long run. If you sweep your child away from a situation that causes him concern, then your child may never learn to move through his discomfort or self soothe during stressful events. In turn, he may continue to avoid displeasing situations, which occur everywhere and everyday throughout our lives. We must teach our children to tolerate! When we are anxious about something, the hardest time tends to be right before we do the thing we are anxious about. Instead of talking with your child way in advance of an anticipatory event such as getting a blood draw, try to postpone the discussion until just before the draw. Also think about potential questions that could come up so that you are prepared to respond with proper knowledge to your child’s fears. Instead of protecting or shielding your child from his worries, help him to move through his concerns. Worries are not Forever by Elizabeth Verdick is our favorite book to read to young children about worries and anxiety. This book contains helpful interventions that any child or adult can do to decrease stress and worries. It is written in simple language and has helpful suggestions for parents at the end of the story. If your child is experiencing anxiety or excessive worries please contact us at Early Childhood Development Associates for a consultation by phone or in person. We are here to help.